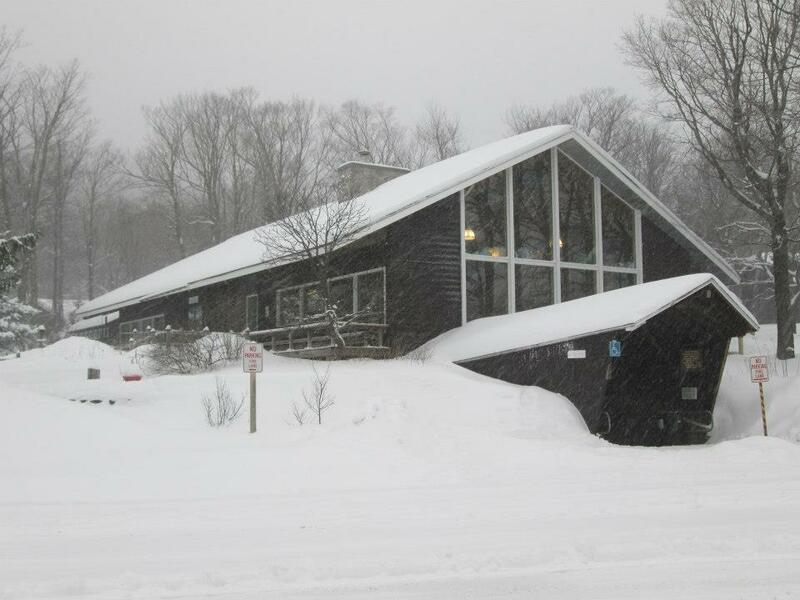 AMC Pinkham Notch Visitor Center today, Dec. 27. 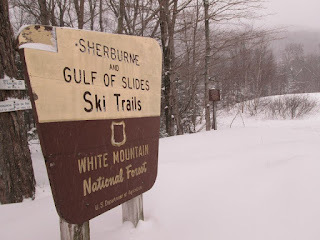 Photo by Robert Rives, Pinkham Notch Winter Naturalist. Photo by Robert Rives, Pinkham Notch Winter Naturalist. 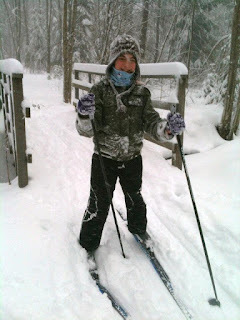 10-year-old Giovanna Spiotti out enjoying her new skis this afternoon near Bretton Woods! 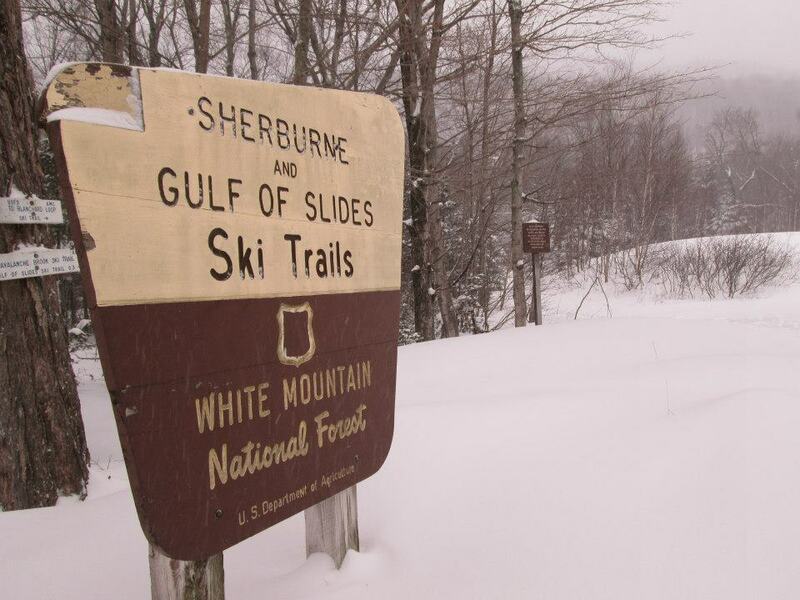 Photo by Vinnie Spiotti. 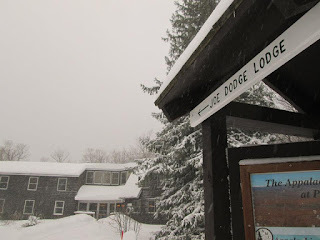 AMC Joe Dodge Lodge this afternoon, during our first big snowstorm of this winter. 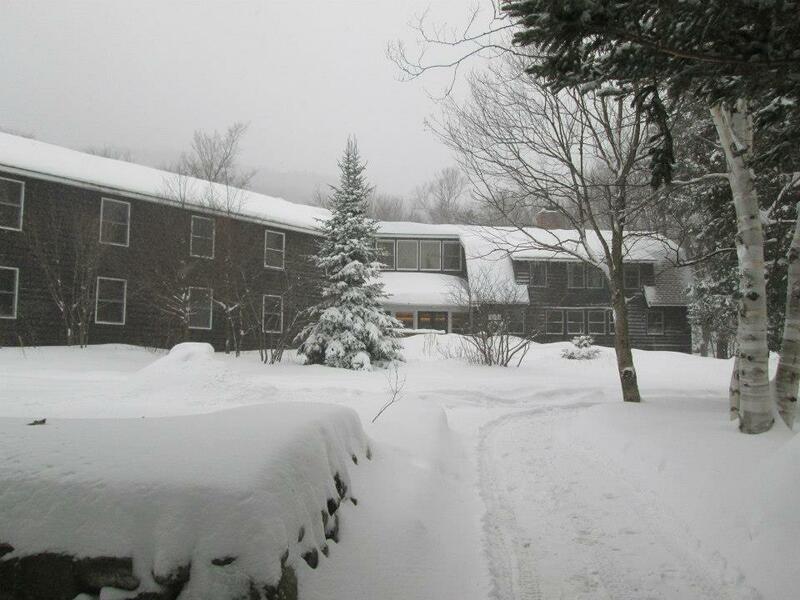 Photo by Robert Rives, Pinkham Notch Winter Naturalist. Joe Dodge Lodge freshly blanketed! Photo by Robert Rives, Pinkham Notch Winter Naturalist.